This revolutionary cash access card from Global Payments gives you fast and easy check cashing services at gaming establishments across the country. 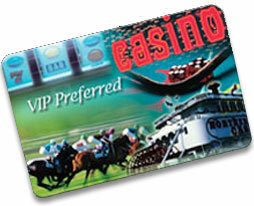 Developed specifically for the gaming industry, this VIP Preferred Card will provide you with the fastest, most convenient and hassle-free check cashing service available today. Processing should take just a few seconds, you will receive your card for immediate use and be back in the game fast!